SOAR, UNCG’s new student orientation for freshman and transfer & adult students, kicks off on June 1. It will run the entire month of June. Students and families will be welcomed to the university, learn campus resources, meet with an advisor, register for classes, experience the UNCG environment, and more. The university anticipates nearly 4,000 students and nearly 3,500 family members attending SOAR. SOAR – Spartan Orientation, Advising & Registration – is required for all incoming undergraduate students. Faculty members, administrators, academic advisors, and current students will present to the new students a wide spectrum of information including academics, class selection, campus resources, meal plan options and co-curricular opportunities. When you see new students or family members on campus, please say Hello – and be ready to offer directions. A star of stage and screen, an iconic television and film actor, a Bernstein Birthday Tribute, a dynamic dance company, a Jazz luminary, and two prominent visual artist lectures are featured in UNCG’s 2018-2019 University Concert and Lecture Series. 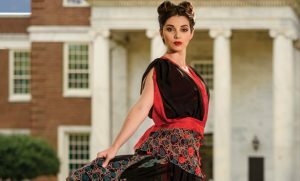 It continues a longstanding tradition of bringing world-class artists to Greensboro for a series of performances, lectures and exhibits as well as invaluable student master-class opportunities. Throughout his 40-year career, Alan Alda has won seven Emmys, six Golden Globes, and three DGA awards for directing. One of TV Guide’s 50 Greatest Television Stars of All Time, Alda is best known for portraying Hawkeye Pierce on M*A*S*H, which earned him five Emmys for acting, writing, and directing, the only actor in history to win in each category for a single series. A recipient of the National Science Board’s Public Service Award, Alda is a visiting professor at and founding member of Stony Brook University’s Alan Alda Center for Communicating Science. Alda published his New York Times bestselling memoir, Never Have Your Dog Stuffed—And Other Things I’ve Learned, in 2005. His second bestseller, Things I Overheard While Talking to Myself, came out in 2007. Alda’s latest book, If I Understood You, Would I Have This Look on My Face? My Adventures in the Art and Science of Relating and Communicating, was released in June 2017. Ann Hamilton is a visual artist known for her site responsive large scale installations, public projects, and performance collaborations. Her ephemeral projects are based in her career-long interest in felt experience as the basis for recognition and knowledge and in the relationships between written language and tactile experience, cloth and body, motion and stillness. Alexander Bernstein is Leonard Bernstein’s second child. He is president of Artful Learning, Inc., and founding chairman of The Leonard Bernstein Center For Learning. Prior to his full-time participation in the center, Bernstein taught for five years at the Packer-Collegiate Institute in Brooklyn, New York, first as a second grade teacher, then as a teacher of drama for the middle school. He has studied acting, performed professionally, and worked as a production associate at the ABC News Documentary Unit. Bernstein holds a Master’s degree in English education from New York University and a Bachelor’s degree from Harvard University. Artist Carrie Mae Weems investigates family relationships, cultural identity, sexism, class, political systems, and the consequences of power. The recipient of both the MacArthur “Genius” grant as well as the Congressional Black Caucus Foundation’s Lifetime Achievement Award, Weems has developed a complex body of art employing photographs, text, fabric, audio, digital images, installation, and video. As part of her UCLS lecture, the artist will discuss her 2008 project Constructing History, in which she worked with students to explore the legacies of the 1960s. Now in the sixth decade of his professional life, Herbie Hancock remains where he has always been: at the forefront of world culture, technology, business and music. In addition to being recognized as a legendary pianist and composer, Herbie Hancock has been an integral part of every popular music movement since the 1960’s. As a member of the Miles Davis Quintet that pioneered a groundbreaking sound in jazz, he also developed new approaches on his own recordings, followed by his work in the 70s – with record-breaking albums such as “Headhunters” – that combined electric jazz with funk and rock in an innovative style that continues to influence contemporary music. “Rockit” and “Future Shock” marked Hancock’s foray into electronic dance sounds; during the same period he also continued to work in an acoustic setting with V.S.O.P., which included ex-Miles Davis bandmates Wayne Shorter, Ron Carter, and Tony Williams. Hancock was awarded the Grammy Lifetime Achievement Award in February 2016. Internationally renowned as one of the world’s leading dance companies, the Mark Morris Dance Group (MMDG) has inspired critics and audiences alike throughout its 30-year history. Founded in New York in 1980 by artistic director/choreographer Mark Morris, MMDG has been called “the preeminent modern dance organization of our time” (Yo-Yo Ma), receiving “highest praise for their technical aplomb, their musicality, and their sheer human authenticity.” (Bloomberg News). A record-breaking six-time Tony Award winner (Carousel, Master Class, Ragtime, A Raisin in the Sun, The Gershwins’ Porgy and Bess, Lady Day at Emerson’s Bar & Grill), Audra McDonald has also appeared on Broadway in The Secret Garden, Marie Christine (Tony nomination), Henry IV, and 110 in the Shade (Tony nomination). The Juilliard-trained soprano’s opera credits include “La voix humaine” and “Send” at Houston Grand Opera and “Rise and Fall of the City of Mahagony” at Los Angeles Opera. On television, she was most recently seen as the Mother Abbess in NBC’s “The Sound of Music Live!” and played Dr. Naomi Bennett on ABC’s “Private Practice” for four seasons. She has received Emmy nominations for “Wit,” “A Raisin in the Sun,” and for her role as official host of PBS’s “Live From Lincoln Center.” A two-time Grammy Award winner and recording artist, she released her fifth solo album, Go Back Home, in 2013. Renewals and new season subscriptions are on sale now at ucls.uncg.edu or by calling box office partner, Triad Stage, at 336.272.0160. Single-event tickets will be available later in the summer. Ticket information is at https://vpa.uncg.edu/home/ucls. UNCG Music students have returned from Europe, where they performed in Prague, Vienna, Salzburg, and Strobl, a small town outside of Salzburg. Dr. Welborn E. Young was the main organizer of the tour. Young said that he had two major goals when putting the tour and subsequently the concert repertoire together. “The first goal was to provide an opportunity for UNCG singers to experience the breadth, beauty, and diversity of areas steeped in an amazing musical history. Thirty UNCG singers were joined by 12 community singers, the latter from First Presbyterian Church Chancel Choir, Bel Canto Company, retired choral music educators, and the Winston-Salem Chorale. The repertoire was a slice of choral music from America and the British Isles. Examples of primitive nasal community singing, shape-note singing, folk-songs, gospel, hymn-tune arrangements and spirituals were woven together with motets influenced by the European masters of the Renaissance. Link Jarrett, head coach for UNCG Men’s Baseball, was named SoCon Coach of the Year for the second time in three seasons. The team finished the regular season with a 37-13 overall record, taking the regular season title with an 18-3 record in Southern Conference games. The SoCon regular season title is a first for UNCG Baseball. He guided the Spartans to 35 or more wins for the third-straight season, the first time in program history that feat has been accomplished. Junior pitcher Matt Frisbee and junior outfielder Andrew Moritz were selected as the Southern Conference’s Pitcher and Player of the Year, respectively. Jarrett came to the university in 2012 as head coach, and last year led the Spartans in achieving their first-ever SoCon Tournament championship, earning them a trip to the NCAA Tournament. May 1 was a clear, sunny day. Perfect conditions for Kiser Middle School’s Meteorology Club and UNC Greensboro collaborators to send a high-altitude weather balloon into the stratosphere, more than 85,000 feet above the earth’s surface. The seventh-graders had worked for several months on the project, with science teachers Temple Cantrell and Aimee Perry; UNCG’s Matt Fisher, assistant director of the School of Education SELF Design Studio Makerspace; UNCG instructional technology consultant Mike Renne and recent Maker in Residence and UNCG sophomore Tim Krauss. This was the second year that Kiser students undertook the experiment, first initiated by UNCG alumnus and Kiser student teacher Erik Winkelman. Each week of the spring semester, the Meteorology Club met with their UNCG mentors after school to design the payload and onboard computer, test parachutes, create a website and select items for the payload, including test tubes of seawater and tap water. On the football field, as the 9 a.m. launch time drew closer, Fisher and NC Near Space Research consultant Paul Lowell filled the 6-foot balloon with helium. Meanwhile, the Meteorology Club students performed last-minute checks on their handmade spacecraft, its onboard camera and the “Tigernaut,” Kiser’s tiger mascot along for the ride. The entire seventh grade filled the rows of the Grimsley High School football stadium, with the Greensboro Fire Department and Fox 8 news team standing by. “3…2….1,” chanted the crowd, and the launch team released the balloon and spacecraft. Up, up, up they sailed amid cheers, the balloon growing smaller and smaller as it ascended. A few minutes later, the chase team, made up of several students and parent volunteers, took off toward Jordan Lake, where the balloon was predicted to land after it reached a peak altitude, popped and floated back to earth. They retrieved it from a wooded area near Apex, recovering the camera that then held breathtaking photos from the stratosphere and documentation of what happened to the two water test tubes throughout the flight. Back in the classroom, teachers shared updates and in-flight photos with the entire seventh grade. Excitement was palpable, not only at the launch but throughout the entire day at Kiser. Fisher says the students will be able to analyze the data they gathered to make predictions and guide their learning for next year’s launch. To learn more about the experiment, view a video that shows the students’ preparation here, the launch and views from the spacecraft. To see how UNCG brings hands-on learning to schools across Guilford County, visit the UNCG School of Education and SELF Design Studio Makerspace. Top photo: Assistant director of UNCG’s SELF Design Studio holds a helium-filled high altitude weather balloon and graduate assistant Andrea Barbour helps, with a Kiser student. Dr. Pearl Berlin, retired UNCG professor and former head of the Department of Kinesiology, died on May 17, 2018. The Brooklyn, N.Y., native came to North Carolina to lead UNCG’s Kinesiology department in 1971. She was the first professor in Kinesiology hired specifically to develop research across the (then) School of Health and Human Services, the obituary notes. The UNCG Pearl Berlin Writing Award, given to graduate students for excellent thesis and dissertation writing, is named in her honor. A public memorial will be held in the Virginia Dare Room of the Alumni House June 14 at 3 p.m. Her obituary may be viewed here. Dr. Kathleen Casey, retired professor from the UNCG School of Education, died on May 22, 2018. Casey brought an innovative research style to UNCG called narrative research, which draws on life stories to examine social and educational issues, her obituary notes. 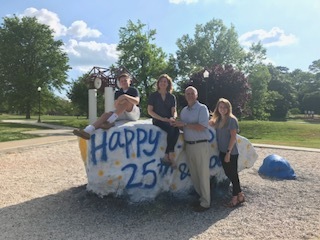 Casey served the university for 25 years as a professor and dissertation advisor in the Department of Educational Leadership and Cultural Foundations. In her time at UNCG, she hooded more than 50 PhD graduates, many of whom are now professors. She retired in 2014. A memorial service will be held at Faith Community Church on Sunday, June 3, at 2 p.m.
Spartan Dining is adding new, on-campus dining options, including five new retail locations at the EUC and a new station at the Fountain View. The new restaurants coming to the EUC include BUILD Pizza by Design, Burger 336, Create, nOma, and a full-service Chik-fil-A. The new Fountain View station is designed to offer meal options free of gluten and other top allergens including milk, eggs, fish, shellfish, tree nuts, peanuts, wheat and soy. More information on these new dining options can be found here. The Banner 9 implementation is well underway, and all UNCG employees who will use Banner 9 for student, financial aid and accounts receivable processes must attend a workshop. There are 10 upcoming hour-long Banner 9 training workshops scheduled, June 4 through July 5. This workshop is intended for any faculty or staff who are current users of Banner 8 INB (Internet Native Banner). This workshop will introduce users to the basic functionality of Banner 9 Application Navigator and demonstrate how to navigate through the modules. It is not meant to teach any specific task, but is designed to make users comfortable with new basic Banner 9 navigation skills such as accessing and navigating pages and finding records via searches. The Office of Waste Reduction and Recycling (OWRR) will host a paper shredding event at UNCG on June 8, 2018 (8 a.m. – 1 p.m.). The location will be at the baseball field service drive area at the corner Kenilworth Street and Theta Street. The UNCG Shred-a-Thon will provide faculty and staff an opportunity to dispose of paper records that have met retention requirements. Remember to maintain proper security of records containing sensitive information. For more information about the UNCG Shred-a-Thon, contact OWRR at 336-334-5192. Dr. Charles Egeland’s work on determining the nature of Homo naledi burials was featured with an article on Ars Technica. WFMY talked to Dr. Tanya Coakley about her Barber Shop Talk program, promoting sexual health among young black men through conversation with their fathers. The News2 piece. UNCG researchers were cited in an April 9 USA Today piece on domestic abuse. In mid-April, Stephanie Milroy was interviewed on Triad Today about Healthy UNCG, which promotes health and wellness among UNCG employees. An Champion Magazine article featured Assistant Professor of Kinesiology Erin Reifsteck’s work in an article on adjusting to life after college sports. Joining UNCG on the midsize organizations list are two other UNCG System universities: UNC Charlotte, ranked 106th, and Appalachian State University at 180th. Dr. Tom Martinek, professor of kinesiology, has been at the forefront of a growing movement of scholars and practitioners who see sports as an underused method to build stronger societies and help individuals be more resilient. The Teaching Personal and Social Responsibility (TPSR) Alliance, a community of practice for practitioners and academics interested in teaching personal and social responsibility through physical activity, normally holds their annual conference in New York City, Chicago, Boston – and this year it’s in Greensboro. Why? Dr. Michael Hemphill explains that UNCG Kinesiology has been one of the universities instrumental in the TPSR youth development model, largely through Martinek’s work. “This conference will be, in part, a celebration of the 25th year of Tom’s Project Effort program,” he explains. As a young education professor in the 1970s and 1980s, Dr. Tom Martinek was interested in the impact of teacher expectations on students — the Pygmalion effect. He was preparing future PE teachers and working to understand how things like “learned helplessness” might affect students. “That research was a stepping stone for me to begin to try things out, to take that research and try to apply it to programs in the community,” says Martinek, now a professor of kinesiology. His early work helped at-risk kids through after-school programs that involved physical activity. They were mostly short-term efforts that ran for a year or two and provided Martinek with fodder for journal articles. But Martinek wanted to do more. And he thought a framework called Teaching Personal and Social Responsibility through Physical Activity, or TPSR, was the key. TPSR was developed by Don Hellison, a now-retired professor at the University of Illinois at Chicago. The framework sees sports and physical activity as a way to teach children important skills and values — self-control, respect for each other, trying your best, setting personal goals, and helping others. Martinek’s opportunity came when the principal of Greensboro’s Hampton Elementary School approached him in 1991 for help. Most of the kids who attended Hampton lived in the nearby Morningside Heights public housing community. With a little funding from an NC State University grant program, Martinek began bussing 24 third, fourth, and fifth graders to UNC Greensboro twice a week after school. It was the birth of Project Effort, a program that still operates more than 25 years later and has become a national model for using sports to help kids who are at risk develop critical life skills. A typical after-school session includes reviewing goals, physical activities in small groups, and then discussion and reflection on their activities. For the students in Project Effort, grades improved, but more important were the changes in in-school behavior. Martinek and two graduate students reviewed four years of data to measure changes in how often students were reprimanded by their teachers or were referred to the principal’s office. Over the course of a year, the average number of referrals to the principal’s office dropped from 11 to 9 per student. More striking was the reduction in teacher reprimands over the same period — from an average of 41 during the first quarter to 28 during the last, a 31 percent decrease. Students stayed in the program through elementary school and middle school. When they reached high school, they started directing some of the activities themselves, learning valuable leadership skills. Read the full feature, “The Long Game,” in the just-posted UNCG Research magazine. Story written by Mark Tosczak. Photo of Tom Martinek by Mike Dickens. Student Affairs announced its annual award winners in its End of Year Celebration on May 16. The event included recognition of the staff excellence and service award recipients while celebrating the end of a successful 2017-18 academic year. Facilities Operations put their Key Request process online earlier this year.. Starting July 1, the gray keycards some of campus are accustomed to will no longer be used. Key requests are being accepted from an Interactive PDF form available here. Completed key request forms should be delivered to the Customer Service Center via email to fowork@uncg.edu; or faxed to (336) 334-4026; or sent through campus mail to Facilities Operations in the Sink Building; or hand delivered to the Customer Service Center on the 2nd floor of the Sink building. In order to pick up assigned keys, the keyholder must present a Photo ID as well as sign the Keyholder’s Acknowledgement agreement at time of pick-up. Full information is available at this Facilities Operations web page. Callie Coward has been awarded the University Libraries’ Staff Service Award for 2018. The award, which was established in 1997 upon the retirement of Martha Ransley, former Head of the Circulation department in Jackson Library, was created to recognize and reward members of the Library Staff who provide outstanding leadership and service in furthering the accomplishment of the mission of University Libraries. Coward, who has more than eight years of work experience in Jackson Library as the Special Collections Cataloging and Digital Projects Library Technician in the Technical Services department, has been an integral member of the team supporting NC DOCKS, as well as an important contributor to metadata cleanup projects from a cataloging perspective. As part of the nomination process to receive the award, Coward’s colleagues commented on her level of expertise and commitment to collaborative projects, stating that a positive attitude and an amazing energy are some of her most redeeming qualities. Coward will receive a monetary award and have her name engraved on the University Libraries Staff Service Award plaque. Coward received her Bachelor of Arts degree in Sociology with a concentration in Criminal Justice from UNC Greensboro in 2010, as well as her Master’s in Library and Information Studies from UNC Greensboro in 2018. Andrew Cagle (Chancellor’s Office) graduated from North Carolina’s premier leadership engagement program, Leadership North Carolina, May 10. LNC’s mission is to inform, develop and engage committed leaders by broadening their understanding of and involvement in issues and opportunities facing North Carolina. Cagle joins 54 other leaders across the state in graduating from this prestigious program. Selected for his deep commitment to the state, Cagle was given the opportunity to learn more about North Carolina’s strengths and challenges, as well as develop new ways to improve and empower the community. Cagle engaged in key discussions with top North Carolina officials, attended field trips across the state and participated in experiential learning activities. Sessions focused on economic development, education, environment, government, and health and human services. Cagle is director of state and external affairs at UNCG. Karen DeNaples (LLC) has received the George W. Veditz ASL Leadership Award, named for an ASL pioneer. This award is given in recognition of an NC ASLTA member’s significant contribution to the field of ASL teaching. Megan Cayton (Health and Human Sciences) will be receiving a Certificate of Merit for best new advisor at the NACADA (National Academic Advising Association) Region 3 Conference in Charleston, SC, this week. The honor is “Excellence in Advising – New Advisor Certificate of Merit.” Details are here. On May 1, Kiser Middle School’s Meteorology Club and UNCG School of Education collaborators launched a high-altitude weather balloon into the stratosphere, more than 85,000 feet above the earth’s surface. See photos of the creation process, the live launch and the spectacular view from the spacecraft, including the ascent, the peak-height travel and the descent back to Earth. 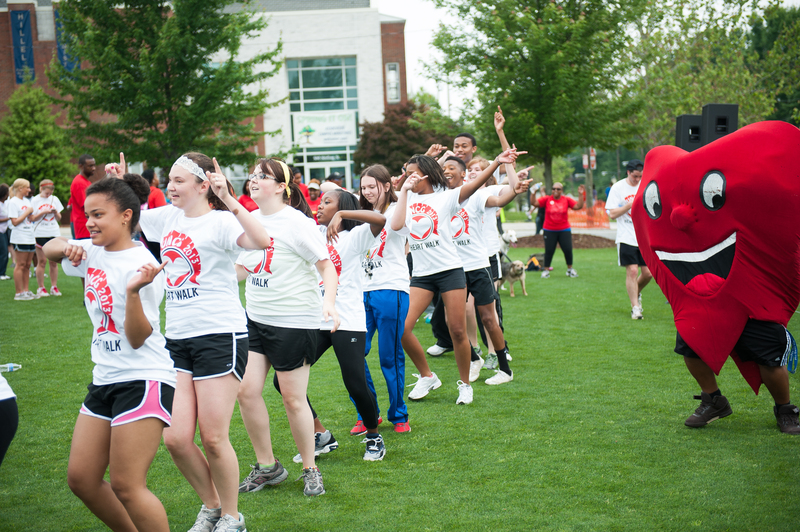 UNCG is stepping out for heart health at the 2018 Greater Guilford Heart & Stroke Walk Saturday, May 19, on campus. The free, 5K (3.1 miles) noncompetitive walk begins in Kaplan Commons at 9 a.m. Tents and check-in open at 8 a.m. followed by a “Puppy Parade” at 8:45 a.m. There will be an after-party with music and light refreshments beginning at 9:30 a.m. Strollers and leashed dogs are allowed, and the route is accessible to people with disabilities. Parking is free at the Oakland and Walker Parking Decks. It’s not too late for employees – as well as families and friends – to join UNCG teams. As of Monday, there are 17 UNCG walking teams with 60 faculty and staff registered. (Update: UNCG as of Thursday afternoon has 139 walkers registered.) The university’s goal is 125 walkers from UNCG. All UNCG employees will receive a UNCG Giant Steps Heart Walk t-shirt and frisbee. A UNCG group photo will be taken at 8:30 a.m. with the chancellor at Kaplan Commons. Visit the UNCG Team Page to register for free. The first 400 children who attend and bring in a Healthy Coloring Page with a drawing of a healthy activity or healthy food will receive a free pass to WET’N WILD at Emerald Pointe – while supplies last. Kids can also visit UNCG’s D.U.C.K. lab in the Kid Zone. Cone Health will offer free blood pressure screenings and the American Heart Association will be on hand for CPR training and healthy cooking demonstrations. In January, the American Heart Association announced that UNCG Chancellor Franklin D. Gilliam, Jr. would serve as chairman for the walk, which strives to reach 5,000 walkers and raise $500,000 to fund heart disease and stroke research and prevention education this year. “It takes strong, dedicated community leaders to truly create a culture of health,” said Garet Beane, development director for the American Heart Association’s Guilford Heart & Stroke Walk. Heart disease is the No. 1 cause of death for both men and women in the United States, and stroke is a leading cause of permanent disability. In Guilford County, diseases of the heart are the second leading causes of death and stroke is the third cause of death. For more information on the 2018 Greater Guilford Heart & Stroke Walk, visit the event website. Hold onto your reading glasses. Greensboro Bound, Greensboro’s first large-scale literary festival, is underway, with an opening event on Thursday, May 17, at UNC Greensboro. Throughout the weekend, more than 80 authors of a wide variety of genres will take part in panels and readings in downtown locations. Around two dozen UNCG faculty and alumni are presenting, and many others have played a large role, from selecting authors for the program to securing funding to coordinating volunteers. UNCG creative writing instructor Julia Ridley Smith, a member of the festival steering committee, has helped curate the festival’s panels and readings, with inclusivity and diversity as a priority. Greensboro Bound kicks off at UNCG’s Weatherspoon Art Museum, with an introduction from former North Carolina Poet Laureate and Professor Emeritus Fred Chappell and a reading by author, filmmaker and UNCG alumnus Brett Ingram. 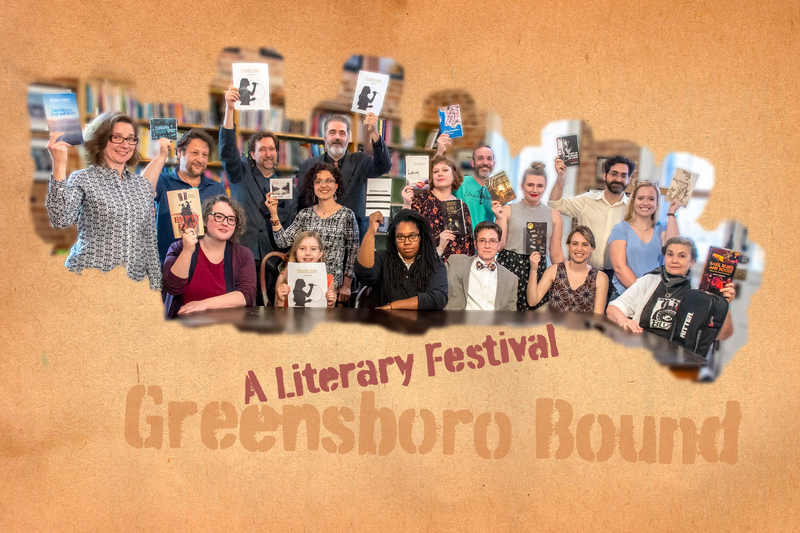 From May 18 through 20, Greensboro Bound events will take place at the Cultural Arts Center, Triad Stage, the Greensboro Central Public Library, the International Civil Rights Center & Museum, Scuppernong Books, Greensboro Project Space, the Greensboro History Museum, First Christian Church and N.C. A&T State’s Harrison Auditorium. Events range from fiction and poetry readings to an original opera, to a blues panel to live llamas to a puppet show – there’s something for everyone, including many events for children. As part of the festival, UNCG Libraries will host a table sharing information about the North Carolina Literary Map, a UNCG-created online resource that highlights the literary heritage of the state. Through the searchable online map, bookworms and educators alike can familiarize themselves with the geographic locations that played roles in the lives and books of North Carolina authors. The North Carolina Literary Map table will be on the South Lawn of the Cultural Arts Center on Saturday and Sunday. See the complete Greensboro Bound Festival schedule here and some UNCG-related highlights posted in Campus Weekly. UNCG Magazine has launched a newly enhanced, interactive website. Readers can now access all of the content in the spring 2018 issue – as well as additional video extras – on the site. The latest issue includes an in-depth look at the Department of Consumer, Apparel, and Retail Studies as it celebrates its 100th anniversary; a profile on alumnus Jim Barnhill, the sculptor behind the beloved Minerva statue on campus, and a look at a special day at the School of Art’s foundry; the Reynolds Scholars program; and a farewell to the McIver Building, as we look ahead to construction of the new Nursing and Instructional Building. The website also includes PDF versions of this issue and previous issues. I am pleased to announce that Beth Fischer has accepted our offer to be UNC Greensboro’s next Vice Chancellor for Advancement. She begins on July 31. Beth has been serving as the Executive Director of University Development at UNC Charlotte, leading major gifts, planned giving, corporate and foundation relations, and donor relations. She designed and led the campaign strategy, planning, and execution of the university’s “Exponential” capital campaign. She also has Greensboro roots. Her mother attended UNCG and Beth earned a BS at Guilford College before pursuing her JD at Case Western Reserve University. She also holds a certificate of nonprofit management from the Mandel Center for Nonprofit Organizations and earned her Certified Fundraising Executive (CFRE) designation in 2008. Beth was selected by the Charlotte Business Journal as a “40 Under 40” award winner in 2009, and subsequently received the “Outstanding Women in Business” award in 2017. She is an active member of Women Executives and the American Leadership Forum Class XVII. She previously served on the US Airways Education Foundation Advisory Board and is a past president of the Association of Fundraising Professionals, Charlotte Chapter. My motto as we have built our team at UNCG is “Don’t compromise on talent.” It was important to me to find someone who not only has the leadership qualities we need in this pivotal role, but also is the right fit for UNCG. In Beth, we found someone who both has a proven track record of fundraising success and is still a rising star. Beth’s current and former colleagues and peers in the UNC System confirm what I noticed about her during the extensive interview process: her ability to develop and lead a campaign; her quick and strategic mind; a warm personality that will engage various stakeholders; and her authentic commitment to UNCG’s mission. Thank you to those who participated in the search process. I deeply appreciate the time you spent meeting the candidates and the invaluable feedback you provided me. I’d also like to thank Kris Davidson, who has admirably led the division since Jan Zink’s departure in January. Please join me in welcoming Beth, her husband AJ, and their two children, Eric and Allison, to our community and to the Spartan family. It was quite a week of celebrations for the UNC Greensboro Class of 2018, from departmental graduations to the doctoral hooding ceremony to the Red Carpet Reception for new alumni. The festivities culminated with the May Commencement ceremony in the Greensboro Coliseum, with more than 2,700 Spartans – the largest graduating class in university history – turning their tassels. For some, the next step is graduate school. For others, an internship, job or travel. It was a message echoed by commencement speaker Joey Cheek, Olympic speed skating gold medalist and internationally-recognized humanitarian leader. Cheek talked about the fortune and good luck he’s had along the way that, coupled with hard work, passion and a desire to be the best, helped propel him to an Olympic gold medal and success after retirement from the sport. He told the graduates that because of these “lucky elements”– his supportive family, being born in the United States and the teachers and mentors who came into his life – he now has an obligation to give back. 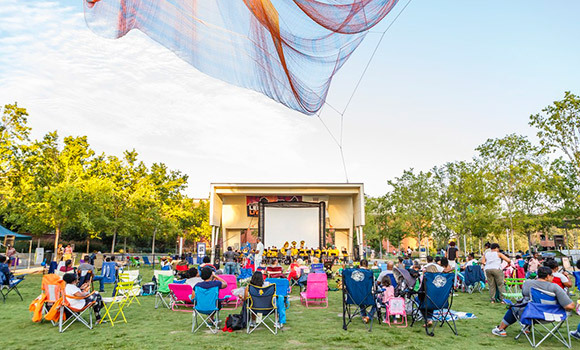 This spring and summer, UNC Greensboro will partner once again with LeBauer Park in downtown Greensboro to present “Spartan Cinema,” a series of Friday night movie screenings that are free and open to the public. The series presents Pixar’s “Brave” this Friday. In addition to movies, attendees will enjoy a variety of pre-movie activities for families, including UNCG musical performances, games, giveaways and more. Participants are encouraged to wear blue and gold and tag their event photos #SpartanCinema on social media. The full schedule can be found below and at greensborodowntownparks.org/movie-nights. In addition to the Friday night movie screenings, park visitors can buy UNCG gear at the new “Spartan Shop @ The Park,” located in a kiosk at the LeBauer Park entrance. The shop will be open during Spartan Cinema and other special events, as well as Monday-Saturday from 11 a.m. to 2 p.m. The spring of edition of UNCG Research Magazine – the university’s semiannual publication that explores some of the most impactful scholarship across campus – is now available online. 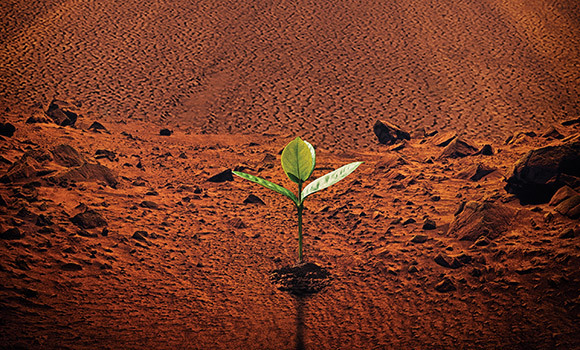 The magazine’s feature stories cover plant growth experiments on the International Space Station, the local impact of the Center for Community-Engaged Design and a 25-year effort at UNCG to equip kids for success through sports. The magazine’s interactive website includes feature-length and shorter articles, faculty and student profiles, image galleries and more. Readers can also download PDF versions of the current and previous issues or request print copies. To learn more, go to researchmagazine.uncg.edu. 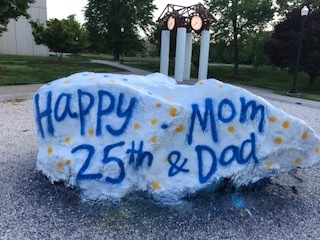 25th wedding anniversary? The Rawk announces it. Campus Weekly asked Dr. Jacqueline Kayler DeBrew about it. “Our 25th wedding anniversary is today,” she replied, the morning of May 8. She and her husband, Clint, met at UNCG – actually at a Tate Street bookstore. They have two children, ages 20 and 16, who joined their parents for photos at the Rawk that evening in celebration of 25 years of marriage. Dr. DeBrew, clinical professor and director of the RN to BSN Program in the School of Nursing, is a “triple alumna” – ‘91 (BSN), ‘96 (MSN), and ‘08 (PhD, Higher Ed). She joined the UNCG Nursing faculty in 1997. Her husband graduated in ‘91 with a BS in Business Management (Marketing). He works in sales in the building supply industry for BMC (formerly Carolina Builders). Happy Anniversary, Jacqueline and Clint! UNCG and Guilford County have announced a joint agreement as the newest members of the innovative MetroLab Network, a network of 37 regional city/county-university partnerships focused on bringing data, analytics and innovation to local government. UNCG and Guilford County are one of only five county-university MetroLab partnerships in the nation. Network members research, develop and deploy technologies and policy approaches to address challenges facing cities and communities across the country. MetroLab was launched by 21 founding city-university pairings in September 2015 as part of the White House’s Smart Cities Initiative. How can cities and towns use data to foster innovative, cross-sector collaborations? What kind of effect can these collaborations have on the development of healthy and equitable neighborhoods? Are there replicable models of these sorts of collaborations that other municipalities can develop? These are the kinds of questions will fuel the discussion at our Innovations in Planning Symposium. Anyone who is interested in these topics is welcome to attend this symposium. Ira Goldstein (Policy Solutions Reinvestment Fund) will be keynote speaker. The UNCG Center for Housing and Community Studies is a sponsor. Register or find more information here.